Bowser and the Koopalings have stormed Peach's castle, throwing Mario, Luigi, and the Toads to the far side of the Mushroom Kingdom. Now they must make their way back to Peach's Castle if they are to rescue the princess. 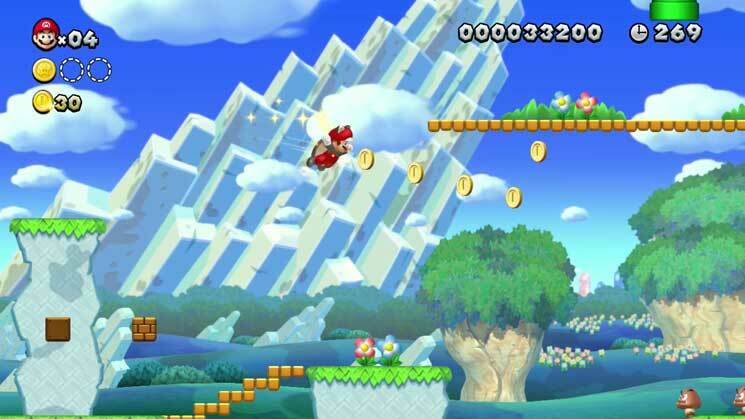 Up to five players, with four on-screen characters and a fifth placing blocks on the Wii U Game Pad screen to help the other players. 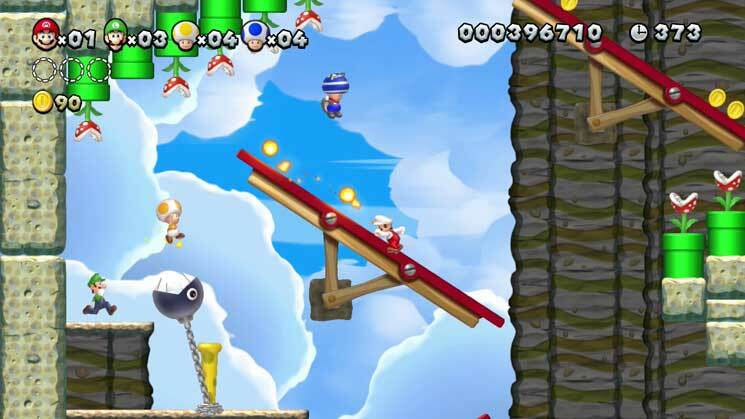 New power-ups, including the Flying Squirrel Suit and Baby Yoshis. Compete against your friends in Coin Battle. In Boost Rush mode, the screen scrolls automatically and gets faster as you collect Coins. 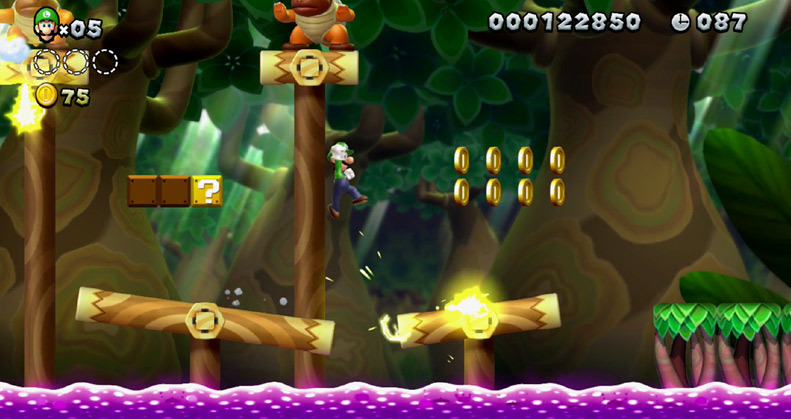 Originally released as DLC for New Super Mario Bros. U to celebrate the Year of Luigi, New Super Luigi U was also released as a standalone game. Clear 80 all-new courses on your way to Peach's Castle. Race against the clock – you only have 100 seconds to clear every stage. Play as Nabbit. He takes no damage from enemies, but he can't use items. Any items he picks up are converted to 1UPs at the Flagpole. A two-in-one disc release containing New Super Mario Bros. U and the New Super Luigi U DLC. In Europe, this disc was originally released with the Mario & Luigi Premium Pack Wii U hardware bundle in 2013. A reissue of New Super Mario Bros. U for the Nintendo Switch, with newly added features. 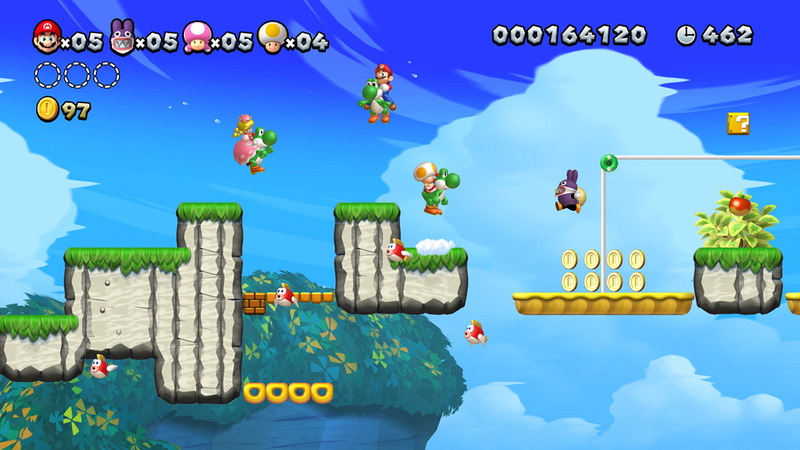 Combines New Super Mario Bros. U and New Super Luigi U, for over 160 courses. New playable character Toadette uses the Super Crown to become Peachette. She can double jump and float through the air, and she even bounces back from bottomless pits. Nabbit and Toadette are playable in all levels. Coin Edit allows you to customise your own Coin Battle stages.